At least 4 sites would not let me change the password without contacting an administrator. I hope you are not snowed under with every user contacting you. The Microsoft Outlook Web Access (OWA) iPad app does not work with 2FA. Not a problem you’d think, as Microsoft provides static, application specific passwords for that purpose. But unbelievable they do not work with OWA for iPad either! I mentioned that for some key sites, I use two factor (or two step) verification. Come on Amazon, and VirginMedia, keep up with the times. That is not quite the full story. One big issue remains. 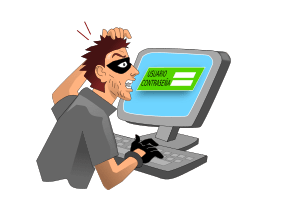 In the final part of this blog series, the real motivation behind me sitting down to write it, I reveal an issue, a big issue, that in some cases meant changing the password meant I was no more secure than I was prior to making the change. I still bemoan the websites that insist you have a username and password just so you can buy something. Frivolous credentials should be banned. Nice article. We changed our password recovery procedure over at Swim Club Manager awhile ago. I agree that it is now fixed on SCM.